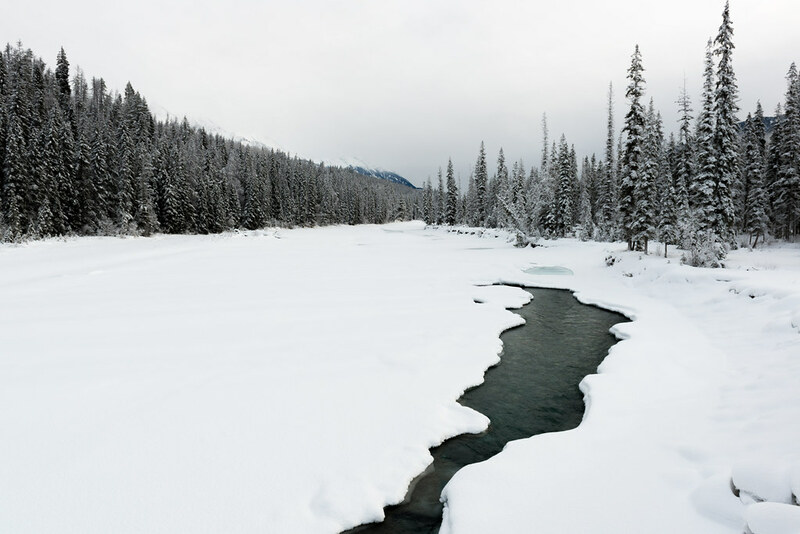 The famous Kicking Horse River, of Kicking Horse Pass. This is the scene from the Beaverfoot Road bridge just downstream from Wapta Falls (which I must come back and visit!). The river is rather peaceful here in winter.